Israeli forces stepped up their daily campaigns of abducting Palestinians across the occupied West Bank, Monday, by abducting more than 45 citizens. Among those detained in Occupied east Jerusalem were twenty members of the Fatah movement, as well as former prisoners. The aforementioned abductees also had their homes ravaged during the arrests in many communities throughout Jerusalem. The soldiers first closed off the neighborhood before invading it; locals also reported the sounds of helicopters overhead. The arrests come immediately after Palestinians Sunday were actively challenging the re-arrest of Jerusalem Governor Adnan Gheith who was detained from his home Sunday. Many family members were arrested in Jerusalem; families such as the Khweiss, Sayyad, Sbeitan, Rajabi had at least 2 members abducted by Israeli forces. The Palestinian Prisoners’ Society reported that across the Hebron governorate, eight Palestinians were abducted, while their homes were ransacked by Israeli forces. 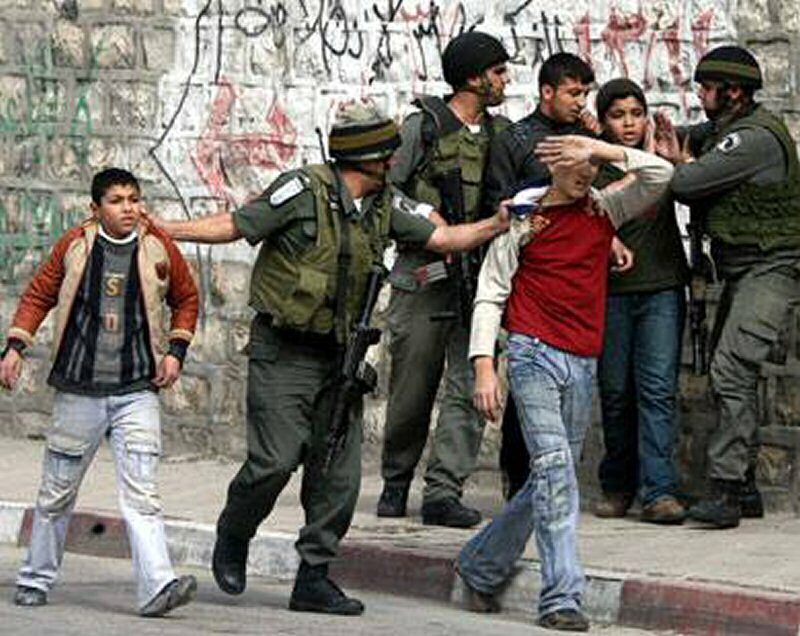 Among the eight detained in the southern Occupied West Bank were two children, both 15 years of age. Five more Palestinians were abducted Monday in Israeli military raids of many Palestinian homes across the Ramallah governorate. Among the five was a young woman, Ayat Ibrahim, from Beit Liqya town, and a journalist, Ahmad Khatib.